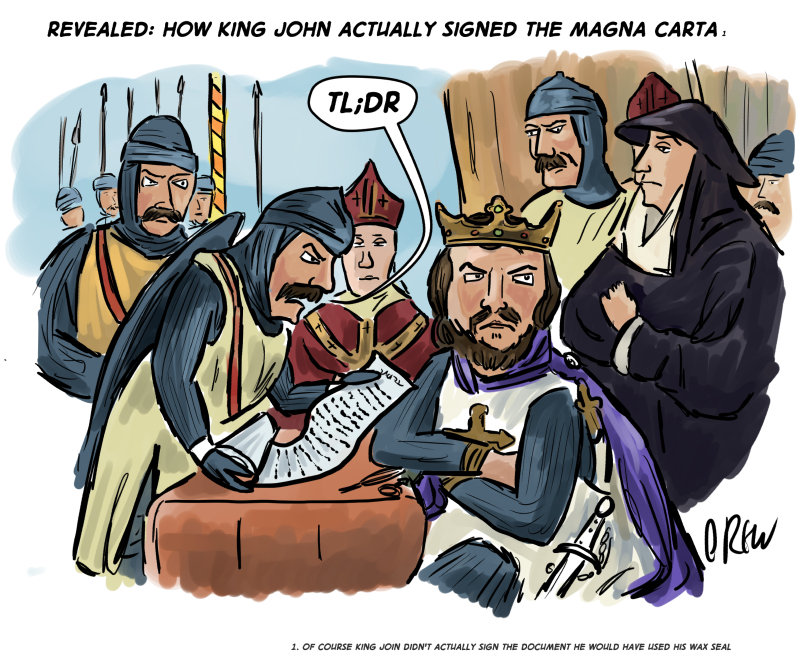 Today is the 800th anniversary of the sealing of the Magna Carta in 1215 (although there was another version in 1225) where King John had to declare himself subject to the law at the insistence of his barons. This we are told is one of the cornerstones of our modern democracy despite it being a failure as a peace treaty and as a document it was more concerned with the grievances of the times and not meant as a human rights rallying cry for the ages. TL;DR (Too Long; Didn't Read) is one of my favourite new bits of Internet speak although I'm not sure what intersection of interests would make this a popular cartoon.